Steph Dorland and Casey Walker from Max I. Walker Cleaners and Launderers stopped by the studios to chat with Mike Hogan about the Ultra Chic Boutique, which takes place February 2nd, from 9:00 a.m. to 3:00 p.m. at "A View on State" at 134th and State Streets. Every year, Max I. Walker customers donate dresses – prom, wedding, bridesmaid, cocktail and other formal gowns – at locations all across the Metro, and then Max I. Walker’s employees generously clean, press and store them. Once ready, the dresses are sold for just $30 (cash only) at the Ultra Chic Boutique dress sale event in February. 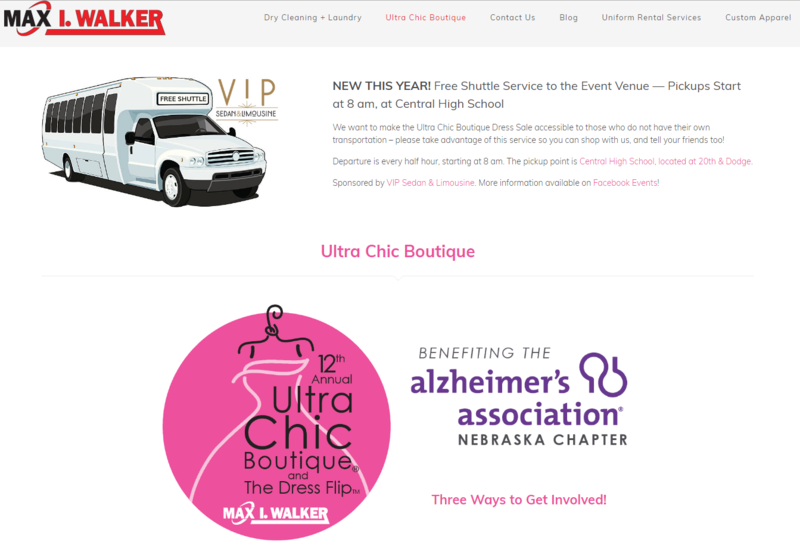 Starting in 2018, the Max I. Walker family began partnering with the Nebraska Alzheimer's Association for the Ultra Chic Boutique. At the February 2018, event, they raised $20,000 in just 6 hours for this worthy cause! NEW THIS YEAR! Free Shuttle Service to the Event Venue! Max I. Walker wants to make the Ultra Chic Boutique Dress Sale accessible to those who do not have their own transportation – please take advantage of this service so you can shop at the event, and tell your friends too! Pickups Start at 8 am, at Central High School Departure is every half hour, starting at 8 am. The pickup point is Central High School, located at 20th & Dodge.